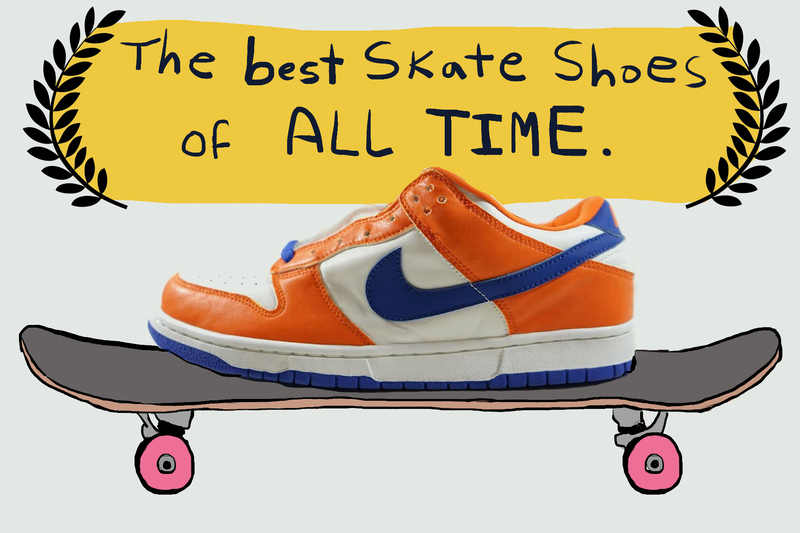 When tasked with listing the best sneakers for skateboarding of all time, instincts could veer toward sneakers with greater nostalgia value than any functional one. An entire generation emulated Brian Lotti’s big spins and Jason Lee’s 360 flips via bulky, awkward, and often ungrippy shoes. 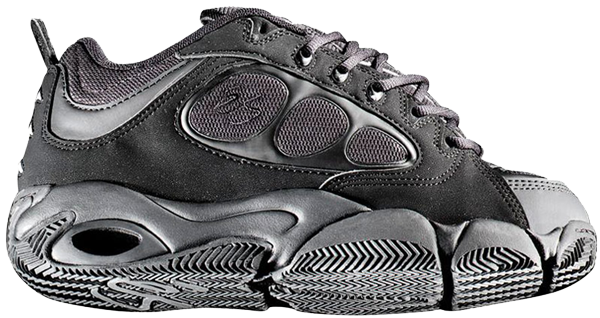 So compiling a list of dedicated skate shoes based on their functionality, durability, and longevity is sticky, but not impossible. In an an attempt to be impartial, we’re going with the general consensus here—the rubber-soled joints we’re putting in a time capsule to explain to other life forms what a skate shoe is, on the off chance that Planet Earth gets eradicated and only surviving pair of shoes are some Yums or even worse, whatever this is. With the criteria in place, the best way to view this Best list is to imagine yourself stuck on an island without WiFi—OK, an island with a lot of concrete and features—stuck with only one shoe to skate until you are rescued, die of malnutrition, or worst case, quit skating. That being said, apologies to any core brands who didn’t get mentioned in here who are turning out great product, both past and present, including all the new companies entering the category. I personally did my best to try not to overlap, so that made some shoes miss the cut. 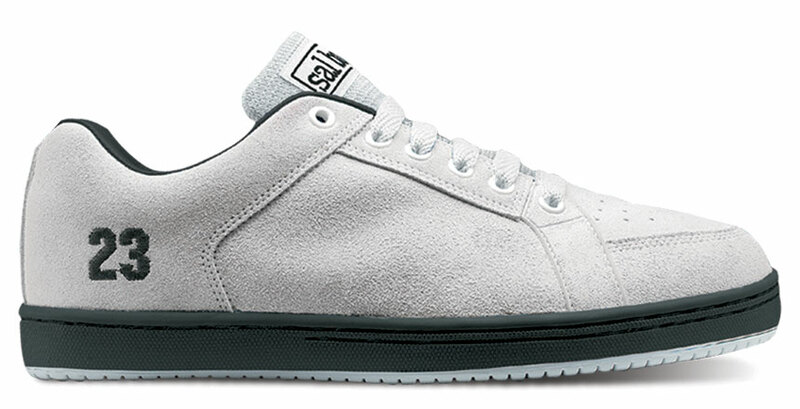 Also, not every shoe needs to be a classic, like, the Muska with the stash pocket? That’s a classic for the time, but we don’t necessarily remember it for how dynamic it was or whatever, right? Here are the best shoes designed or redesigned for skateboarding, ever, in kind-of chronological order. 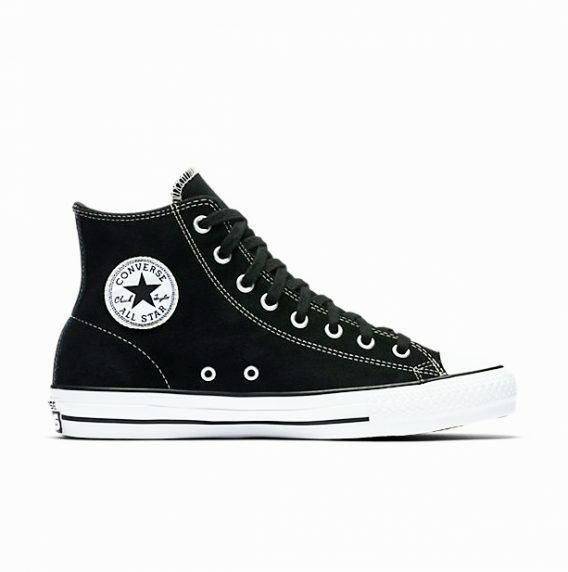 To this day, the first pair of many most-recognizable pros were a pair of Converse Chuck Taylor All Stars. Specifically, Mr. Kenny Anderson, owner of one of the most elegant styles of skateboarding, whose name checked the staple model several times. Why? The CTAS is an incredibly simple shoe, and while its earlier iterations weren’t the most durable, the rubber toe is/was functional, in that it provided some ollie protection and for bowls/vert/transition, you could keep your toes on point when you knee slide, so there’s that. The ramped-up version on the shelves now was retooled for skateboarding by the Cons team and the tweaks are invaluable. More durable, comfortable, and functional, while retaining all the hallmarks of the famous silhouette, the current version is a perfect shoe in its simplicity. Less going on, less to go wrong. Oh, did you know the original purpose of the logo on the inner ankle was for support? Now you do. If you’ve managed to ride without ever owning a pair of Vans Era Pros, that’s just odd. This is the most common skateboarding shoe in the history of skating, and for a good reason. Like the CTAS, the appeal is in the simplicity. The shoe breaks in almost instantly, there’s little barrier between your feet and board, and thanks to years of tweaking and proprietary technology, what is there happens to be very purposeful and significant. Building off the legacy shape, the current version features UltraCush HD footbeds, Pro Vulc Construction, and Duracap reinforcement, meaning that it’s going to wear and last longer than the standard that you’re familiar with. And hey, if you dig the regular Era, that’s rad too, as it’s all a matter of preference, but either model is going to give you that Vans grip that feels, well, comforting. Broad strokes with this one, but the inclusion of the Nike Dunk SB might as well include all the different iterations of the franchise, meaning the high, the low, the Ishod, the puffy tongue, the not-puffy tongue, the mid with- or without the strap, whatever, just not the golf one, because that thing was terrible-looking. Putting the Dunk in here also kind of allows the Air Jordan 1 a spot, given the design influence of the latter on the former. The AJ1 became popular with skaters in the ’80s because of their construction and support, as well as the fact that the original Jordans were overproduced in many colorways, meaning they sat on shelves marked down for kids who bought shoes only to rip and destroy them. 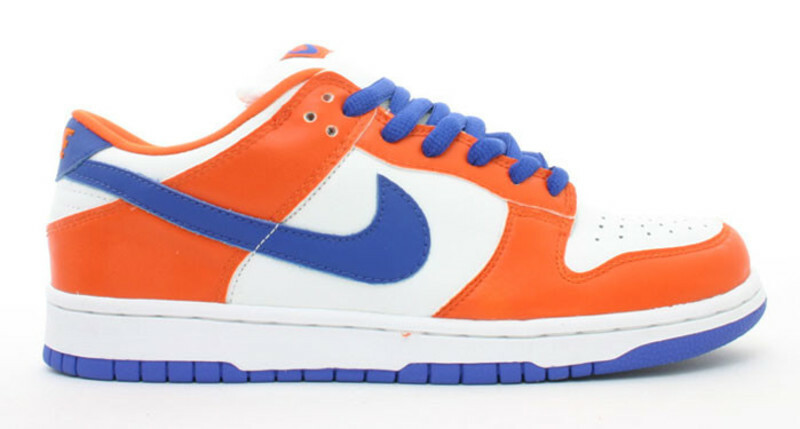 But the Dunk SB was made the cornerstone of Nike’s rebooted skate program and remains a go-to. Sure, it’s not a vulcanized shoe, so many are going to say it caters to some disciplines more than others, but that’s debatable. The Dunk is still timeless, premium, and ever so slightly evolving. And if you’re Brian Anderson, the highs just look incredible. Truthfully, the Sk8-Hi, Old Skool, and a deep list of others (even the original Rowley) could have made the cut, but the Half Cab spoke uniquely to the R&D that skaters were doing on their own, manifested by the shoe’s spokesman himself, Steve Caballero. Caballero saw that skaters were starting to cut down his high-top shoe into a mid themselves, offering more mobility and a lighter feel as street skating underwent a period of technical advancement. Cab responded by creating the Half Cab—a play on the halved version of his signature Caballerial trick—and the result was the shoe that impacted a generation. The Half Cab’s extra height and stability may be more of a psychological cushion than a functional one, but the slim fit offers added support and the padding doesn’t obscure board feel and control. Also, the toe area is a little elongated, which some people really enjoy, yet it’s not a particularly narrow shoe. Bonus points if you can pull off the white ones with the black sole, because that thing looks hard done right. Quick history lesson, but in the early ’90s, retro shoes weren’t yet a thing, so if you didn’t want to skate what was out, you had to dig for deadstock sneakers from the ’80s, especially when the Puma Clydes and various older adidas shoes were coveted. The skate industry started to respond to the demand and the reality was that a lot of guys they were sending shoes to actually preferred to ride their old-school sneakers. For his first shoe, the 23, Barbier channeled the basic design of a Clyde or Stan Smith, stitched in the Jordan homage, and added a simple, yet unobtrusive ollie patch to prevent seam rippage. 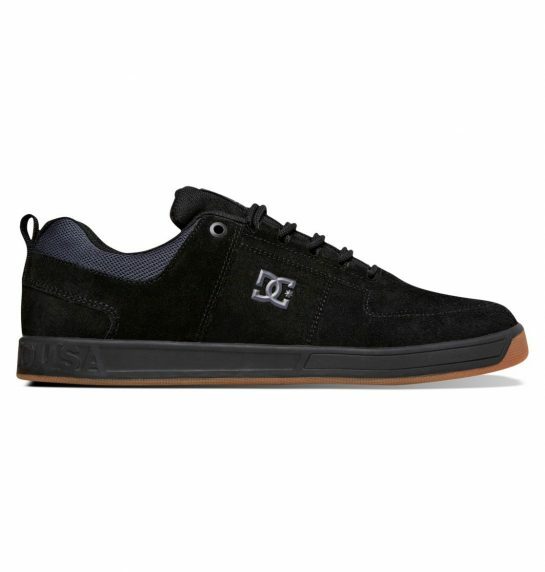 No shade towards anyone else whose name was embroidered onto a skate shoe before Salvador Lucas Barbier, but what Etnies and SLB did with this shoe was really tuned into the actual needs of a skateboarder. Many had multiple pairs when it dropped, as there was no reason to try anything else out. To his credit, Barbier wasn’t content to sit back and cash checks, so he continued to experiment with his future models, but the 23, now back via éS, stands as the most widely loved. Feeding off the technical influence that Etnies/éS brought to the industry, Droors Clothing Shoes became the beacon of innovation in skateboarding sneakers, at times to its detriment. If you look back at old ads and catalogs, specifically in the mid-to-late-’90s, some of the models do kind of look like a Honda Accord modified so hard that it’s almost impossible to drive the thing. Still, it was important to explore and push what a shoe could be, especially as skateboarding got bigger on both vert and street. While there are so many DCs that are beloved, especially the early signature models, the Lynx really embodies an era of advancement that was both crucial but also carefree. Yes, the abuse the ledges and stairs at Love Park took during the ’90s was a touchstone for East Coast skating, but it was also memorable because it birthed true characters, not just hard tricks. Also, the Lynx comes in a Lite version and maybe a vulcanized one (without looking), so it’s a whole family or whatever and that means you can pick whatever sibling you get along with the best. The és Accel may have an appearance that carbon-dates it to the ‘90s, but its board control and durability endures. The Accel was the first skate shoe to feature a kevlar ollie pad, and while at first glance it looks bulky compared to the vulcanized shoes that have dominated the past decade-plus, its actual feel has much more in common with a vulc than its mid-’90s peers, chock full of bells, whistles, rubber, and layers of suede. Designer Pierre Andre specifically designed the shoe stand out and it did, specifically when the brown colorway was on Tom Penny’s feet and captured in his fleeting, yet impactful footage. After a brief brand respite, éS resurfaced with the Accel, boasting as much new tech as allowed, without impeding its iconic appearance. Respect to Lakai for reintroducing the Staple last year: slightly elevated, yet respectfully traditional. Hopefully it honors its name and remains in the range for a while, but we’re here to discuss the Manchester. Originally introduced as a cupsole in 2004, the Manchester was subtly brilliant, showing a lot of a restraint, and offering great value at a reasonable price point. Not only was there less to rip when you ollied, the stark and streamlined side wall essentially formed a suede sock around your foot, making the Manchester feel really “locked in” and stable. And though it teetered on feeling soccer-based, the Manchester is still very much a skate-informed shoe and its vulcanized version might be its best-feeling. 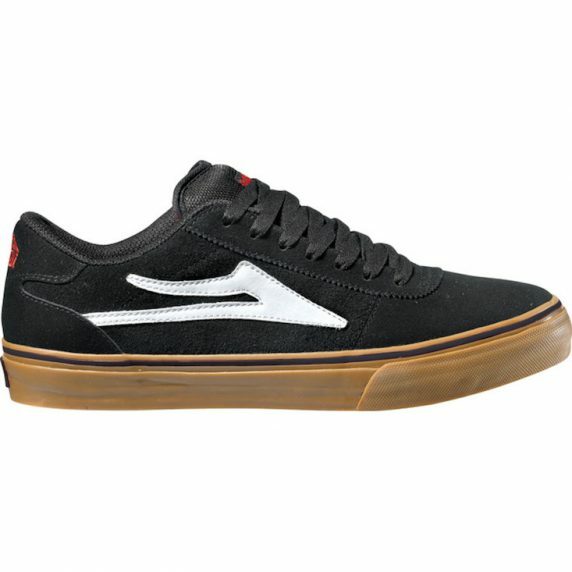 Maybe it’s the actual flare, but the shoe also looked like something Lakai owned, rather than their own take on an Era or other popular silhouette. While the Janoski is the easy pick here, I’d like to give Nike and Eric Koston a nod for being so committed to performance shoe design, so much that they decided to eschew any preconceived notions of a skate shoe and came up with a model that stands out as much as Koston’s career. As one of the priciest models out, it’s far from accessible to many younger skaters, who are saving chore money to buy sneakers they can afford to destroy, but the price does reflect the construction, quality, and innovation of the shoe. What’s remarkable about the Koston 3 is that for a shoe with so much going on, it’s quick to break in and mold to your foot, primarily because the bulk of the shoe’s meat is in the insole, leaving it thin, flexible, and remarkably responsive for a cupsole. Whether or not the 3 becomes a fixture in the Koston collection or takes on the elusive spectre that the Air Jordan 2 once maintained before it was retro’d, this is shoe that has earned a spot on the “best” list for delivering on its lofty performance aspirations in spades. 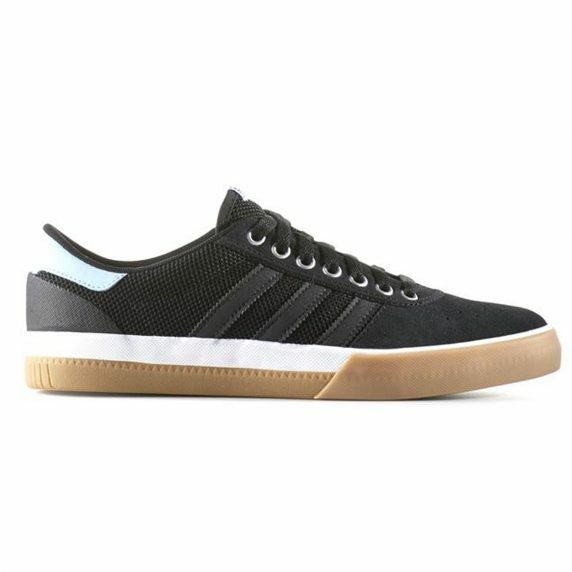 In 2016, adidas introduced several models that called back to the brand’s deep heritage, modernizing them for the broad stylistic needs and disciplines of present-day skateboarding. Taking inspiration from a ’70s tennis shoe, Lucas Puig’s latest model is a culmination of his insight and the design team’s experience, marrying slimness with cupsole stability. 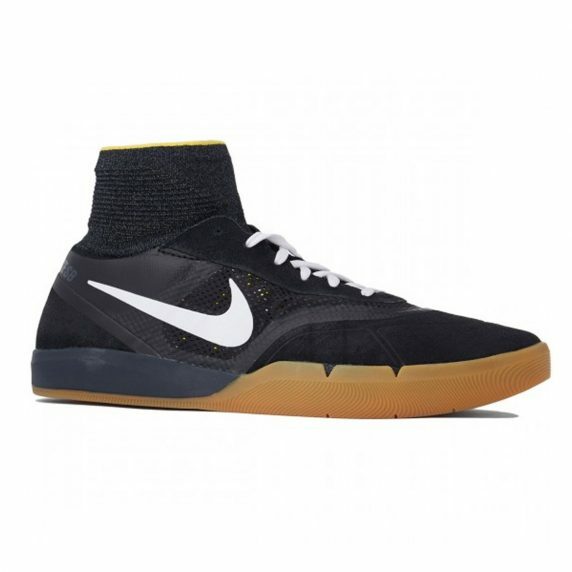 Like the Koston 3, this is achieved by allowing the sole to do the heavy lifting, meanwhile a breathable mesh sockliner provides support. The almost-unanimous feedback about the latest Lucas model is that it’s the most natural, form-fitting, versatile, and out-of-the-box-accessible shoe—not just out of any of his previous models, but of any in the line, implying it has all the necessary elements to be a permanent inclusion on this list.